Light weight fan with bamboo ribs. 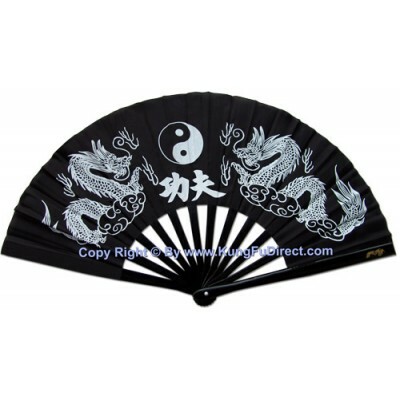 Beautiful design with twin golden Chinese dragons and Ying and Yang symbol. Fan size 13" weighs only 6 oz. Fan size 15" weighs only 8 oz. Excellent for any traditional art routine or ornament display. Also a great gift idea. Light weight fan with bamboo ribs. 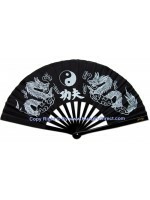 Beautiful design with Chinese dragon and phoenix representin..
Light weight fan with bamboo ribs. 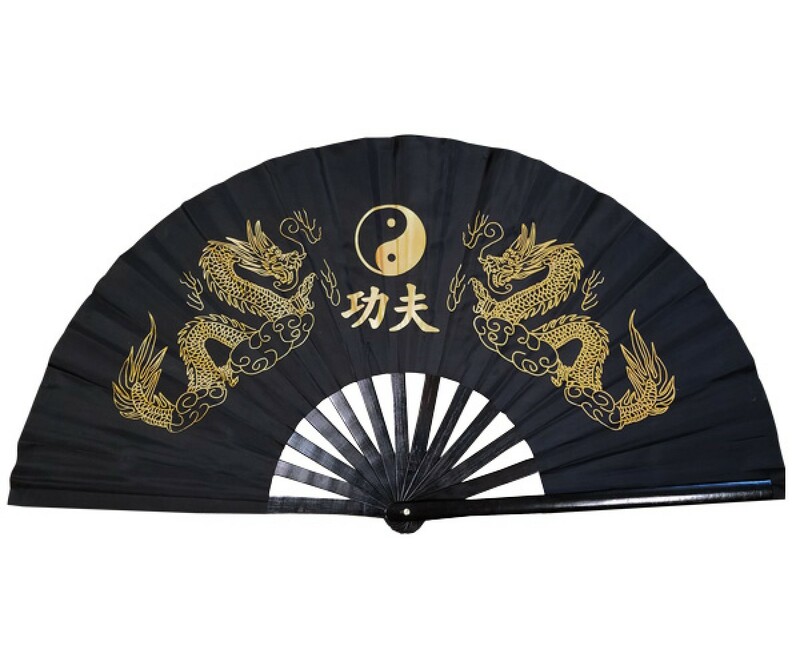 Beautiful design with twin golden Chinese dragons and Ying a..